The Strain ends on a high note going full tilt creature feature as The Master steps out of the shadows in an important flash back. Getting to this scene, however, has Dave about ready to shot his television set. And he has lots to say about how off this episode is. And why is Eph always making such stupid decisions. C’mon, dude. 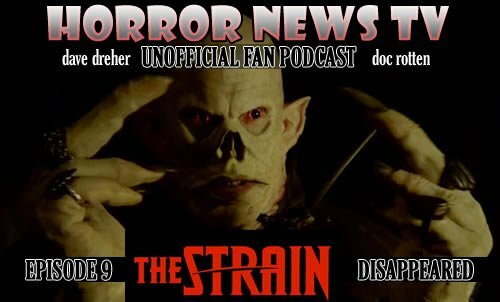 Doc and Dave have lots to discuss as the recap episode 9Â ofÂ The Strain.